Prague – Cheap Rooms in Prague. Maps of Prague, Photos and Reviews for each cheap room in Prague. 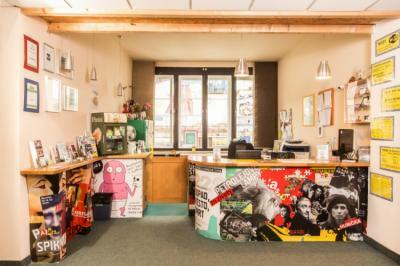 Looking for a hostel in Prague? Look no further, all the good deals in Prague are on Dorms.com. Like thousands of other people every month, book your hostel securely at the best price in all neighbourhoods of Prague. 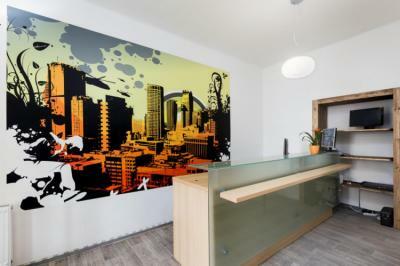 On this site, you can easily find a hostel downtown, in a trendy neighbourhood; a hostel in the student- university district, close to bus or train stations, airports or major attractions of Prague. We are located in Prague 2, very close to the Vysehrad Castle a historical fort located In the City of Prague. In our vicinity you can find a lot of amazing bars and restaurant as well beautiful city parks such Folimanka park. Hostel more than good for the price. It's a great opportunity for people who want to visit Prague and not to spend too much money. The rooms are quite rough - just a bed with a small table, but just behind the door there's a common-room where you can cook something or just sit down on the couch. Also the staff is really helpful and communicative. Recommended! The staff oriented us with the hostel and she was very helpful with providing tips to go around the place. Our rooms were clean and warm. Reception is very friendly :) any time of the day. I would like to thank Dana , she is the one who is offering the beer tasting for free( its very cool since Prague is the most famous and oldest country by making beer ) ,she knows the history of each type of it. i would definitely suggest this hostel to travellers . the property was in a good location for the sights and was also very clean and the decor and stuff was great. It was clean and beds were comfortable. I.P. Pavlova tram/metro stop is a few minutes walk; Wenceslas Square is 10 minutes walk. This makes Sophie's an ideal location with good transport connections as well as a possibility to walk around the city centre. Close to Wenceslas Square and Charles Square. Dancing House and the river is about 5 minutes far.Prague is a great choice for travellers interested in beer, walking and architecture. The nearest airport is Vaclav Havel Prague Airport, 12 km from Baroque Hall. Our two nights at the Sophie's hostel were good and we met nice people there. The bar at the ground floor is also a good idea to take a drink if we don't want to move. The furnished map is really useful also. The location is great, we did everything by foot. Maybe some curtains could be good for not being bothered by the light and the sounds during the night in the big dormitories. And before our stay, it was written in the app that the breakfast and the towels were free, but it was only for the private room and the difference were not mentioned. Was very nice and had everything. Auberge propre et très agréable. L'emplacement est très pratique. Beaucoup de style dans la décoration. We are delighted with our stay at the Sophie's Hostel and the city of Prague! The staff is very welcoming as are the locals. The location is ideal. Everything is pretty in this hostel and she in addition to great cleanliness! The staff were friendly and helpful. There were cute dogs in the property, made me miss my little one when I saw them. The breakfast was great. The room/bed was clean, and I appreciate the water pressure for the shower was working well (important to me). Its close to the city center. Location was convenient. its close to the city, so that was what's really important to us for this trip. The room is clean, the beds were comfy, the food was good, and the price is good too. Can't and wont complain. Walking distance from all famous sights. 1 minute walk from Wenceslas Square 2 minutes walk from Main Train station (Praha hl.n.) 5 minutes walk from Old Town Square 10 minutes walk from Charles Bridge Safe area of Prague. Pleasantly surprised by this hostel at the price quality level. Superb activities are proposed (city tours, manual activities at the hostel, ...). Very well located! The hostel is very clean and the staff is available for any information. Very good experience in this hostel. The manager of the hostel is very kind, takes the time in case of problems. Dormitory of 8 very comfortable, includes a kitchen area appreciable. The rooms are clean, the sheets are washed. Located in the center, this hostel is very nice. The location of the hostel between the train station and the city center is perfect, the room was very spacious and equipped with kitchen, heating and a space with table and chairs. The impressive views. The cleaning of the bathroom and room is improvable, they do not offer breakfast in the hostel, but a kind of picnic to take away. 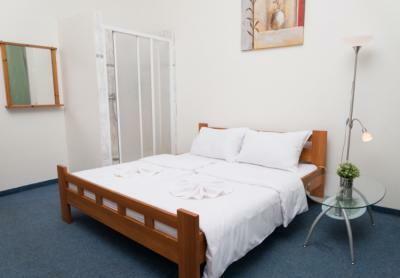 Although the building was a bit old and there were parts that were not very clean, the value for money is very good, the beds are comfortable and we could rest well. Unfortunately, I came across a bed full of bedbugs ... Over 50 stings in 3 nights yet the place is clean. So please treat as soon as possible! for infos room 2, 4 th floor bed on the right. 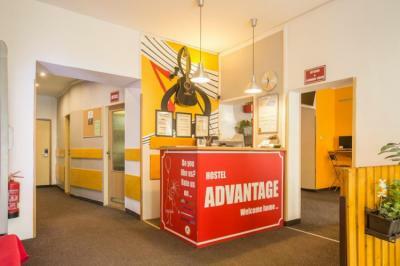 Hostel has best hostel Prague location near historical center of Prague. The most popular bars, clubs, museums, restaurants, historical monuments are just around the corner, withing walking distance! - 5 min. walk from the Wenceslas Square - 10 min. from the Main Train Station - 12 min. from the Old Town Square and famous Astronomical clock - 15 min. from the Charles Bridge. 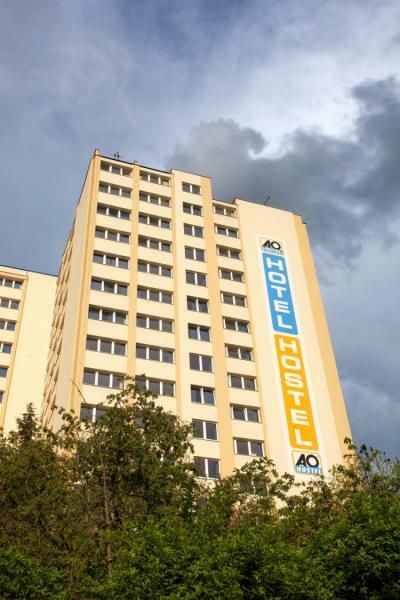 Our cheap hostel Prague is situated right next to a metro station I.P. Pavlova (underground) and Non-stop supermarket. The A&O Prague Metro Strizkov is situated in the district Strizkov and is only 5 minutes away from the metro station Strizkov. It takes merely 15 minutes from the hotel to the city centre. With its central location, you can easily get to the hostel by car, coach, train or other public means of transport which makes it a perfect base for trips to the „golden city“. I did not appreciate this experience at all. Absolutely not clean, the occupants do not do the dishes, everything is dirty in the common rooms. Bad security, the doors are blocked day and night (most of the time) by fire extinguishers so we go back to a mill. The bathrooms are really small, not practical, the bunk beds squeak constantly and the mattresses are very uncomfortable. Compared to other hostels, I really did not like this stay, it's a shame! Si elle est située à côté de la gare, elle n'est pas pour autant située à côté du centre. De plus, chambres, douches et toilettes extrêmement sales. Cuisine et salon extrêmement horrible, avec le sol complètement gondolé. Personnel peu aimable. On ne peut, notamment, que payer en cash. The room is spacious, clean, the beds are made and are in good condition, there are even curtains that guarantee privacy, the bathrooms are clean and nearby, the kitchen is equipped and the common room is very nice ! Go for it ! It is also close to the Muzeum station, so close to everything, even if it is a small capital that can easily be visited on foot! Cockroaches in the communal kitchen did not allow the group to eat on site and enjoy the premises. This hostel is big. easy to connect with other backpackers. Close to subway. This hostel is good for the price and near public transportation. I recommend.